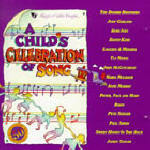 A Child's Celebration of Song CD - These original recordings by great artists represent the best of children's music in the past 50 years. Includes Peter, Paul and Mary; Danny Kaye; Anne Murray; James Taylor and more. Young and old alike will enjoy this CD.